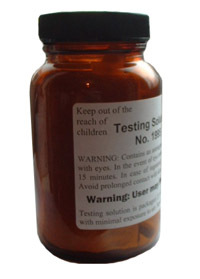 Here you will find a range of other testers including gold, silver and banknote testers. Diamond and moissanite testers are located on the left. Advanced gold tester, tests for non golds, 9ct, 10ct, 12ct, 14ct, 16ct, 18ct, 20ct, 22ct, and 24ct. Battery operated. Will work through very thin gold plating. 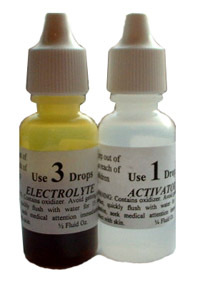 Replacement liquids are also available below for this item. This item will be posted by Royal Mails Speical Delivery.